Tesla's sales model is incompatible with laws in some states, and Texas law is so restrictive that Musk had to step in personally to lobby the Texas Legislature in support of a law creating a narrow exception that would allow specifically defined electric car makers to sell cars direct to customers. 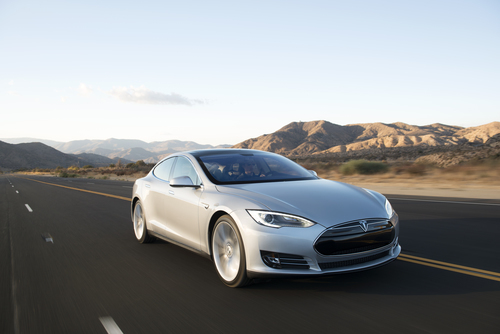 Tesla Motors' fight against the Automobile Dealers Associations across the U.S. has come to Texas. A bill in the Texas Legislature (House Bill 3351/Senate Bill 1659) brought Elon Musk to Austin on Thursday and Friday for testimony and a press conference in the Texas Legislature to lobby for passage of the bill. Tesla's approach to selling cars is incompatible with existing Texas law, which Musk described as the most restrictive in the U.S.
As was previously noted on TorqueNews, It's High Noon for Tesla in Texas, there is over 100 years of tradition behind the existing dealership system. Under that system car manufacturers are not allowed to sell cars directly to the public, but instead sell to a dealership and it's the dealership who sells to the public. In his press conference on Friday, Elon Musk described the existing system as having been formed for a just reason. The restrictive nature of Texas automobile dealership laws were, according to Musk, formed as a reaction to an attempt by Ford Motors Corp to retract the dealerships in Texas, and clearly that's a just cause to protect dealerships from abusive behavior by the manufacturers. He went on to say the laws, whose original purpose was just, were being used by the Automobile Dealers Association for an unjust purpose, to maintain power and to prevent the exercise of Free Enterprise. Musk said "The Auto Dealers Association is opposed" to the proposed law, "but I don't think on very reasonable grounds, because on the one hand they're unwilling commit to selling any of our cars, and on the other hand they're saying we must give them the exclusive right to sell cars." This point is the crux of Tesla's argument in Texas. That, as a tiny car company whose sales are small compared to gasoline cars, if Tesla were forced to sell through dealerships the dealerships are unlikely to put any weight behind sales of Tesla's cars. To prove that point, Musk pointed to the apparent failures of both Coda Automotive and Fisker Automotive. While neither company has entered bankruptcy, both have gutted their workforces and are seeking financial rescue. Both companies chose to sell cars through traditional dealerships. By comparison, Tesla Motors is unique among the start-up electric car manufacturers in being on the verge of success and is expecting to show a profit for the first time ever for Q1 2013. Tesla's argument is that electric cars "simply cannot be sold side by side with gas vehicles because they will always be a minority item in terms of sales and service volume." That existing car dealerships have "an inherent conflict of interest between selling gasoline cars, which constitute the vast majority of their business, and selling the new technology of electric cars." Why? It's because a car dealership wedded to selling gasoline cars cannot "explain the advantages of going electric without simultaneously undermining their traditional business." The proposed law in Texas carves out a narrowly defined exception in Texas automobile sales law, which Musk described as having been crafted to create the least threat to the traditional automobile dealership system. House Bill 3351/Senate Bill 1659 would permit U.S.-based manufacturers of 100% electric- or battery-powered vehicles to sell directly to Texas consumers.